Our Taranaki delegates are working alongside industry representatives and the Ministry of Business, Innovation and Employment (MBIE) as part of E tū’s involvement in creating a Just Transition in the region. Just Transition is a union initiative to prepare, train and equip workers and communities for an economy based on green energy technologies and industries. This is important for our many members in carbon-based industries and across our manufacturing sectors. After several meetings, a 12-person leadership group has been set up to explore what the future holds, working industry by industry. 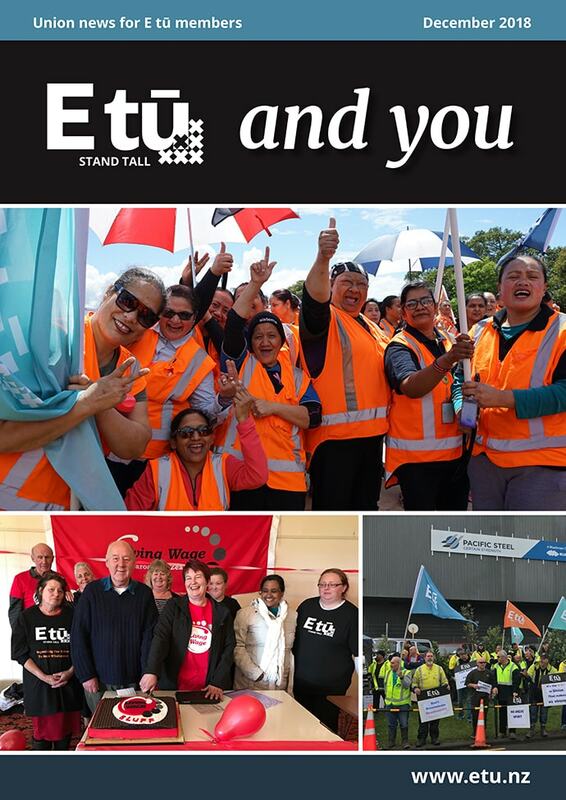 Team member and E tū delegate Sean Hindson says a Just Transition means fairness in wages, the creation of high wage jobs, and the development of long-term energy alternatives for the region. Sean says he’s excited to be involved and receiving good quality information he can share with other members and the wider public. Prime Minister Jacinda Ardern has given guarantees and assurances to Taranaki, following her announcement there would be no more new oil and gas exploration permits. She travelled there recently to meet our members and to reassure them that the Government shares their interest in Taranaki continuing to provide high value jobs for the community now and in the future. However, she acknowledged that the energy industry will change and that investors are chasing new clean green energy sources as the world responds to climate change. The Prime Minister also committed to a Just Transition, pledging not to abandon people during the coming changes. The exploration ban will not affect the country’s 22 existing exploration permits, and any oil and gas discoveries by firms with those licenses could still lead to mining permits of up to 40 years.